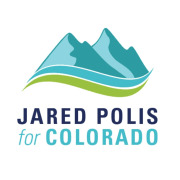 Jared Polis is running for Governor to turn bold ideas into real results for Colorado. Jared has spent his career turning big ideas into real results for Colorado families. Now he’s running for governor with a bold vision to bring free, full-day preschool and kindergarten to every community in Colorado, make our state energy independent and 100% renewable by 2040, provide universal, affordable, accessible health care for every Coloradan and build an economy that works for everyone, not just top executives and special interests. Would you recommend Polis For Colorado?